The album, clocking in at 35 minutes, features just nine songs, including a bare-bones, melancholy early version of "Purple Rain." Prince was a high-flying virtuoso on the guitar and a wild acrobat on the dance floor, a master of pop theatrics and rock extravagance. But a quieter, more intimate side of the late musical icon is revealed in a new album released posthumously on Friday, more than two years after his death. "Piano & A Microphone 1983" delivers on the title’s promise. It's a stripped-down, elegantly uncluttered recording of the artist, alone inside his home studio 35 years ago, bearing his soul before a piano and a microphone. The work tape, clocking in at a slim 35 minutes, features just nine tracks, including a bare-bones, melancholy early version of "Purple Rain," the song that became career-defining after the 1984 release of the album and hit film of the same name. The album arrives on CD, vinyl and digital platforms courtesy of Warner Bros. Records and straight from Prince's storied personal vault. 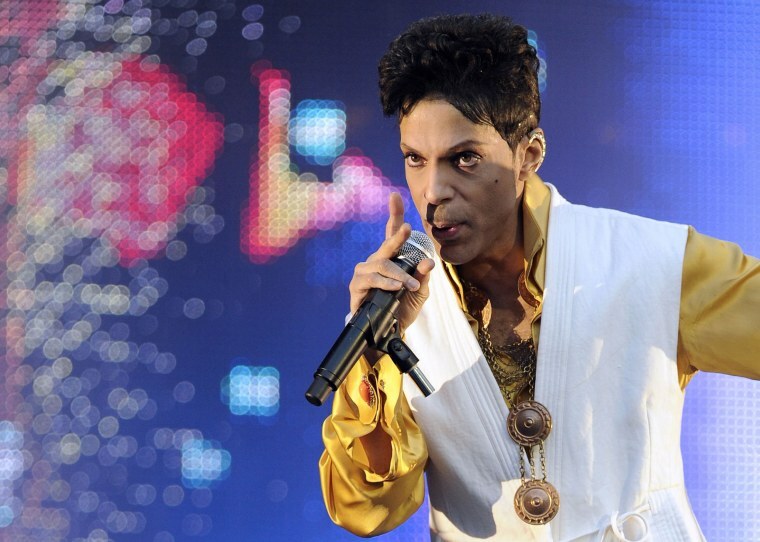 It marks the first official album release since Prince collapsed and died of an accidental fentanyl overdose at his Paisley Park estate in suburban Minneapolis in April 2016 at the age of 57. "Piano & A Microphone 1983" offers longtime fans an aural time capsule, capturing Prince just a year before he rocketed to international fame and commercial riches. It also provides new listeners with a sense of Prince’s vocal range. He glides through a cover of Joni Mitchell’s "A Case of You" with a soft, ghost-like falsetto. But minutes later, he adopts a hard-edged rasp on "Cold Coffee & Cocaine." In other tracks, he alternates between tossed-off riffs and gospel-style grandeur. The track that might draw most attention is "Mary Don’t You Weep," a classic African-American spiritual that director Spike Lee used over the galvanizing end credits of his recent film "BlacKkKlansman."